When people see a thatched property for sale, some people love the idea of living in the cozy chocolate box with character, whilst others worry about maintenance, fire risk, insurance and vermin. Do not let these things put you off. Thatch holds its value, is cool in summer and warm in the winter. Below we have included some suitable advice on what to look for and ask when considering buying a thatched property. You can also look at our FAQs on buying thatch. Is it a listed property? and if so which grade? – Listed properties may have some added limitations on what you may or may not do. Reports and surveys are useful. 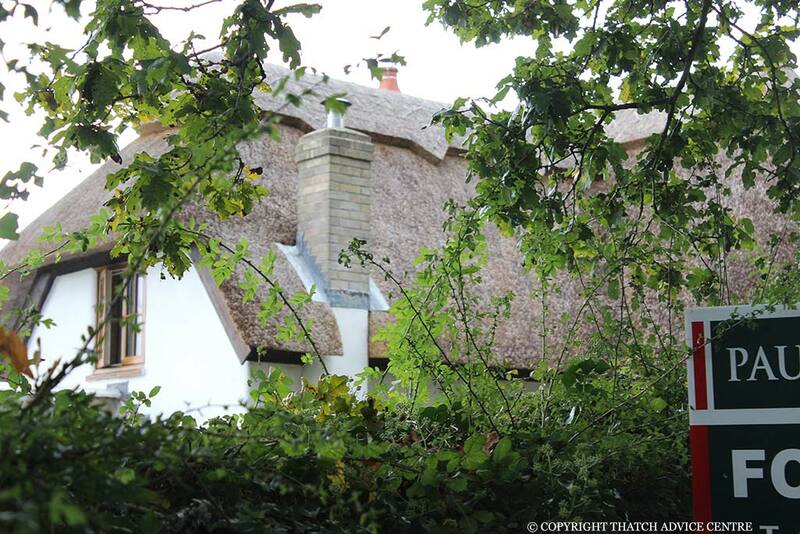 See our page on Listed Thatched Properties. What fire safety precautions are in place? – i.e. fire barriers under the thatch, fire retardant spray on the thatch, Chimney linings, alarms etc. These help with insurance premiums and peace of mind. When was the roof last inspected/repaired/re-thatched by a thatcher and who was that thatcher? Have any alterations been carried out, i.e. extensions? Have any roof structures been repaired or replaced? What material is it thatched in, both the coatwork and the ridge? When was the chimney last checked? When was the chimney last swept, and is it lined and if so what type of lining? Are there open fires or wood burners in the property? Are there any trees near the property and when where they last attended to? Has the property had any problems with birds or vermin in the last 5 years? Has a spark arrestor been fitted? Who are the current owners insured with? Once you have the answers to these you should be able to make an informed decision, on whether or not it is the right property for you. Insurance for thatched properties is generally not more than for conventional roofed houses, if you go to specialist thatch insurers. There are no standard specifications for thatching, some areas have their own specifications to maintain the character and appearance of thatched roofs. But there is no legislation or body covering their practise. There are overall standards which most good Master Thatchers will know, eg thickness, fixings, etc. With regard to specifications for planning, including B4 building regulations etc, it is important that you understand what they are and the options on meeting those before making a decision. In need of an inspection? Are you thinking of buying a thatched property, unsure of the current state of your thatch or are just in need of an inspection? Fill out the contact form and a member of our team will be in touch to talk through arranging an inspection.